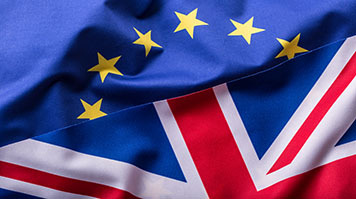 "Despite the disappointing outcome of the EU Referendum which has resulted in the UK voting to leave the European Union, I would like to reassure our international and EU students, staff and partners, as well as those applying to study at LSBU, that I remain committed to ensuring that LSBU will continue to be, as it has always been, a welcoming, diverse and vibrant international community. "At this stage, there is no indication that today’s Brexit decision will affect access to student finance or the immigration status of international and EU students. Leaving the EU will not be an overnight process and so there is no need to panic. There will be a gradual, managed exit process through which we will work with the government and our partners to seek assurances and influence future policy. "Our first priority will be to press the UK Government to ensure that staff and students from EU countries can continue to work and study at British universities. We will also prioritise securing opportunities for our researchers and students to access vital pan-European programmes and build new global networks. "International exchange is extremely important to us and inclusion is at the heart of everything we do. The UK’s role in Europe may be uncertain, but our commitment to being a welcoming destination for talented people from across Europe and the rest of the world is not." Read more advice on the EU referendum. For further information or for comment please contact: press@lsbu.ac.uk.